Density by Design – Can Good Design Change the Great Australian Dream? Our sprawling cities are reaching their limits and we find ourselves at a cultural crossroads, as the great Australian Dream must adapt to a new era. There is a growing movement away from big houses on big blocks and an increased demand for multi-residential developments near our city hubs. Now, the real challenge is upon us – to move toward new approaches that enable innovative, affordable, sustainable design that is liveable and affordable. In the new online series Density by Design hosted by Dr Josh Byrne, Josh will visit ground-breaking projects, seeking out the leading minds and ideas around sustainable, higher density residential projects in Australia that are inspiring change through demonstration. In the first four episodes of Density by Design Josh Byrne visits the pioneering Christie Walk in Adelaide, The Commons in Melbourne, Bowden in Adelaide and Central Park in Sydney’s CBD. This leads him to WGV a 2.2ha medium density residential precinct under construction near Fremantle in WA, and the subject of a four year ‘Living Laboratory’ research project which is testing built environment innovation in a real-life setting. Over the coming months, Josh will share the learnings from this world leading development via additional episodes. The initial episodes also explore their subject sites from an aesthetic view point, through the lens of four professional architectural photographers. Iain Bond, Dianna Snape, Corey Roberts and Katherine Lu’s photography brings a greater understanding of design intent and character to the series in a creative and poignant way. 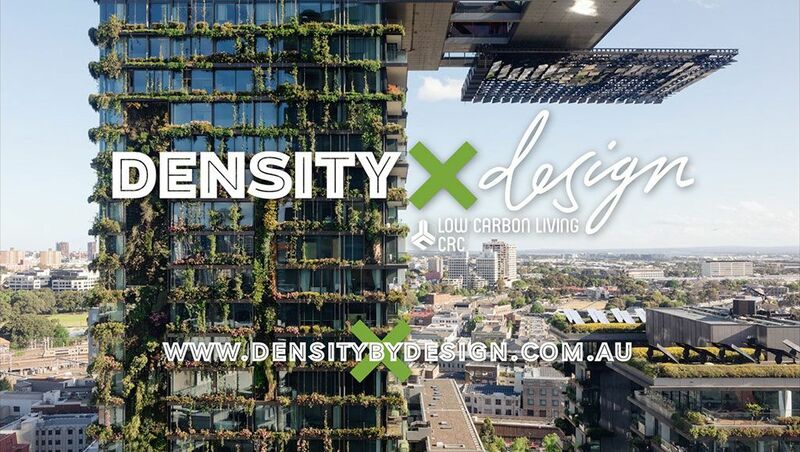 Density by Design the web series, is produced by VAM MEDIA, and is part of a broader research project on low-carbon residential precincts being undertaken by Curtin University’s Sustainability Policy Institute and the CRC for Low Carbon Living. Project partners include the Western Australian Government land development agency LandCorp, City of Fremantle and Josh Byrne & Associates.